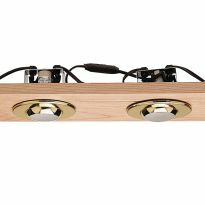 A wonderful lighting option for the underside of cabinets, shelves and more. Round pucks emanate soft, diffused light and take up minimal space for installation. 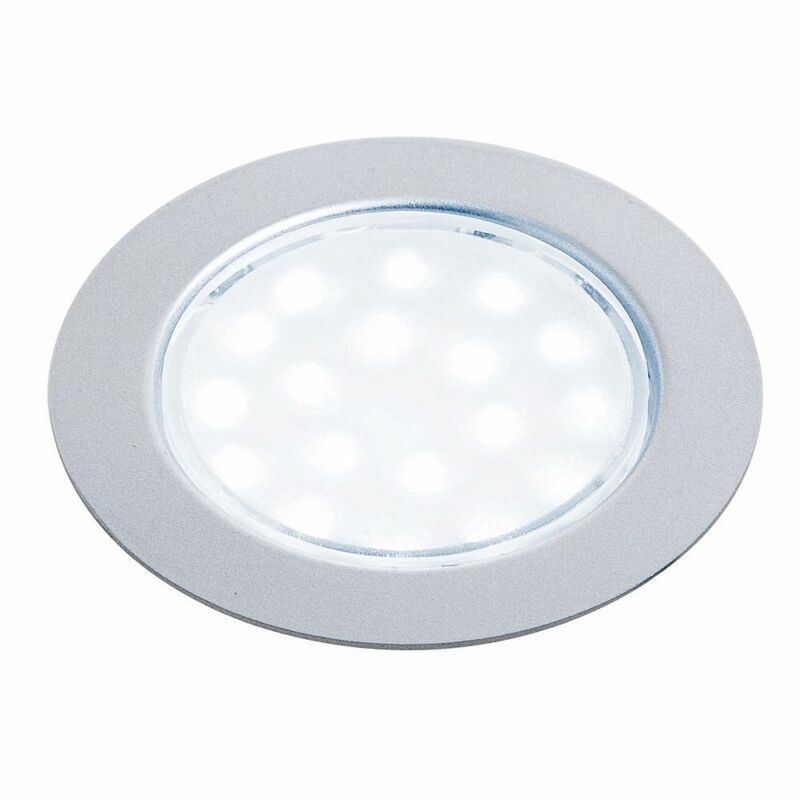 Lights are 1.25 watts each and feature 18 LEDs. 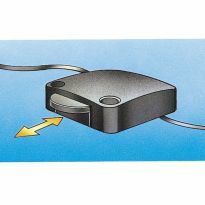 The lights can be dimmed when paired with a dimmer switch (sold separately). Fixtures are thermoplastic and measure 2-5/16"in diameter and require a 2-1/3" diameter hole for recessed mounting. Choose from chrome and brushed steel finishes available in warm (3200K) or cool (5100K) light colors. 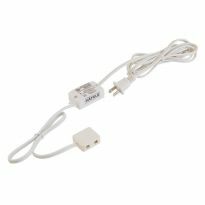 Includes a 79" Connector Lead and requires a Transformer (#35189 or #36750, sold separately). Surface-Mount option also available. Created two shadow boxes alongside sliding closet doors. These lights will provide a soft warm glow to illuminate the area within the shadow boxes. The brushed steel works best with our door hardware. 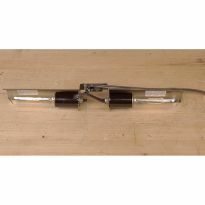 how much clearance do I need above the light? Did not use the lights as I had no upper clearance at all. Sorry I could not help. can these be installed in wood with minimal clearance for cooling? I needed to epoxy an elevator bolt on top to keep the light secure. 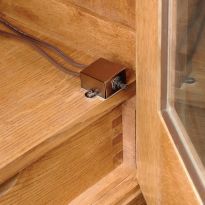 I've used them flush-mounted in a piece of 3/4 oak. After being on for 6 hours, they're warm, but not hot.